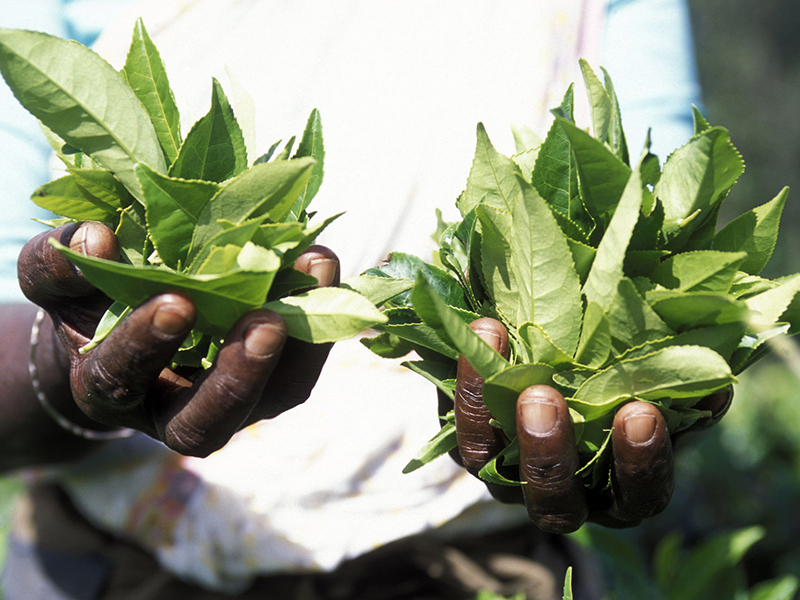 Fresh tea straight from our plantations in Sri Lanka. All our products are customizable in the way you want it. The perfect gift! Original sustainable Tea To Go bottle with bamboo cap and recycled packaging. Available from 1 piece. Logo printing for promotion? Starting from 48 pieces. Fully customizable from 1.000 pieces. We donate 1 euro to War Child of each sold item. Metal can with 10 pyramid pouches premium tea. Make it 100% yours. Available and fully customizable from 1.000 pieces. Delivery time is about five to nine weeks. Promote your company with your own tea! Just choose your packaging and flavor. Delivered in just three weeks, fresh from our estates in Sri Lanka. Available from 25.000 bags. 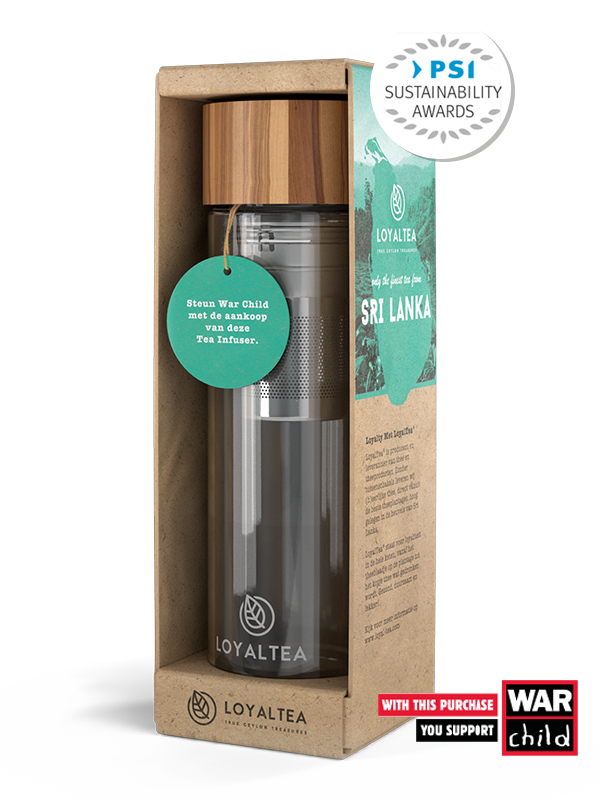 Not only because we provided over 7.643 companies with personalised tea..
Straight from the best tea gardens, located high in the hills of Sri Lanka, we proudly present: LoyalTea®. 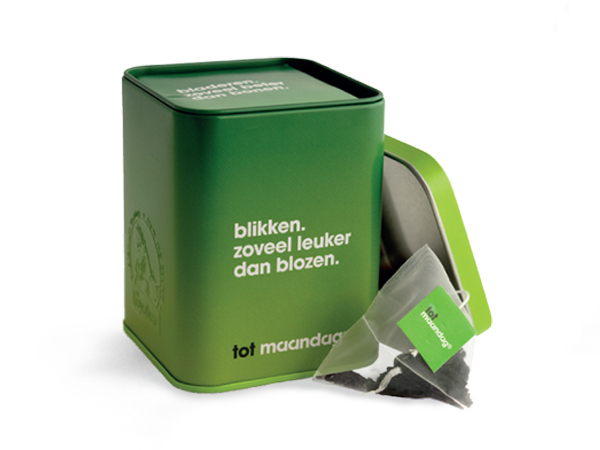 Handpicked tea leaves of premium quality. 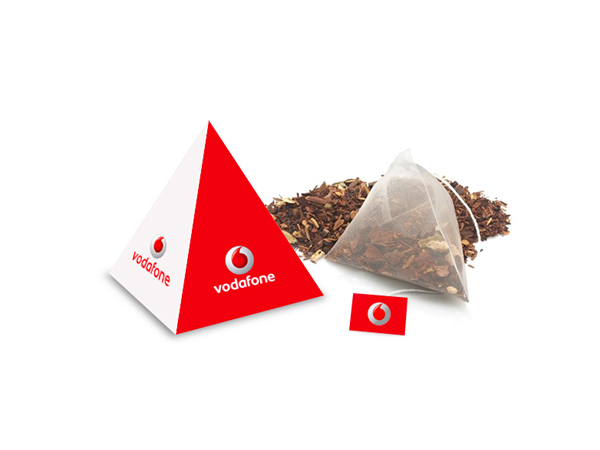 A unique concept which lets you order your own tea for marketing and promotion purposes. What makes LoyalTea® unique is the sincere and extensive consideration for sustainability and social engagement. This is reflected in the Rainforest Alliance quality mark for example. LoyalTea® stands for loyalty to the environment, the local population, the tea pickers, and to you. Thousands of companies around the world already use our unique concept and have achieved remarkable results. Use custom made tea for events, or leave a lasting impression on your business relations.